Adventure is just more fun in the Philippines! I can’t help but agree with one of the most happiest, honest and friendly marketing slogans around – It’s More Fun in the Philippines. Ah yes it is my friends. Adventure in the Philippines is a whole new level of unexpected fun. I never would have picked out the Philippines, and certainly not the province of Albay, to be my number one pick for adventure time in the Philippines. 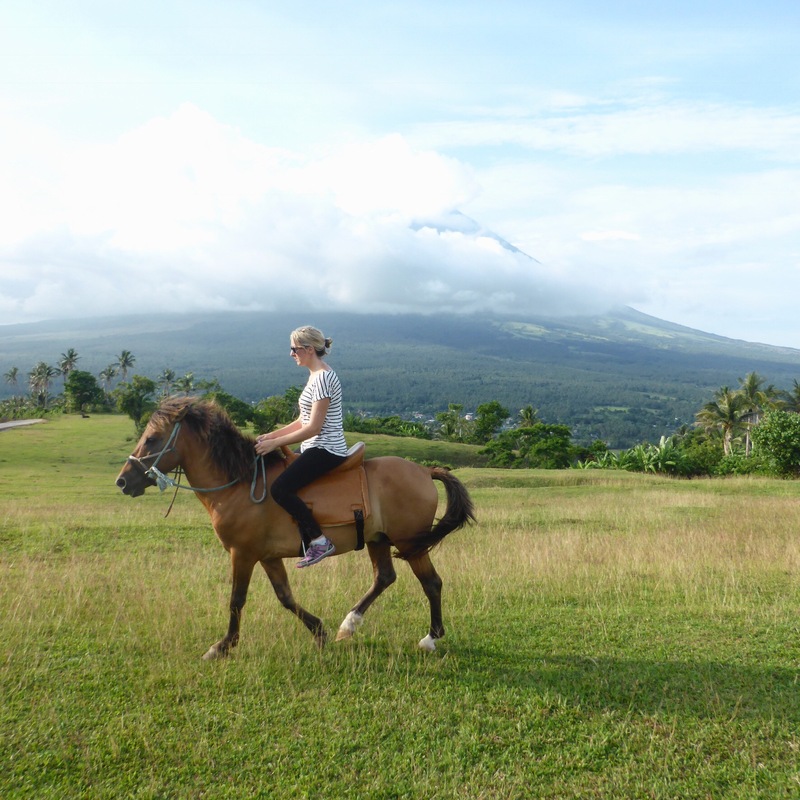 Albay is a complete destination for travellers who are after leisure, adventure, and new experiences. I’ll forgive you for thinking that there isn’t much more to the Philippines beyond Manila other then the hustle of bustle of getting yourself out to, Boracay, El Nido or Palawan. Which is totally understandable as who wouldn’t want to spend their days sitting on pristine white beaches, drinking long island ice tea and getting a good dose of vitamin D. On a recent, very short, visit to the city of Legazpig in the province of Albay, I discovered how much more fun adventure travel can be in the Philippines. The Albay province offers a huge variety of adventure activities which are easily accessible from the main towns, cities and resorts. There’s a little something to keep every little traveller happy across the entire day. Love to trek ? Just can’t keep out of the jungle but really want to try your hand at being a mermaid and swimming with the fishes? 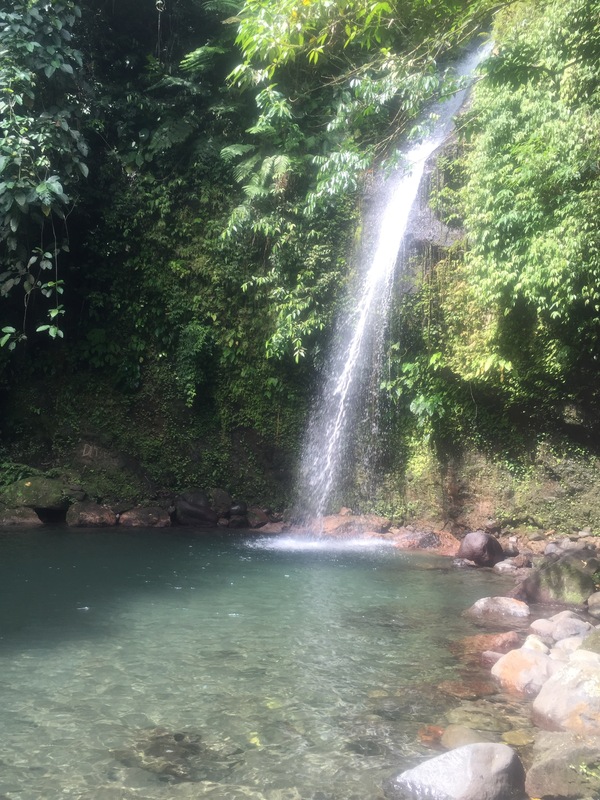 Then take a hike up to discover the fairy queen at Busay Falls in the morning, lunch in Legazpig and be back to the beach for an afternoon nap. Busay Falls is a hot spot with the locals and tourists who are willing to go off the beaten path and have a mild mannered adventure. Tucked away just outside of Mallipot is the jungle and the seven tiered falls. The journey is around 5kms from Tabaco city, 20kms north of Legazpig and is easily to get to via private car or the infamous Jeepney service! The Busay Falls are approximately 250mtrs, making this one of the highest water falls in the Philippines. The Busay Falls descend down from heaven into seven delightful water pools. Perfect for refreshing the mind, soul and sweaty face before continuing along the trek. Whilst this isn’t the toughest, grittiest, soul tearing, spirit destroying hike it’s still rather challenging in a polite and happy kind of way. The path here really is the path less beaten and there are small path ways that branch off to other areas and adventures that you may not wish to explore.There are no viewing platforms, no ropes or concrete steps. I’d strongly suggest that you hire a guide. The jungle is unforgiving of fools. I can’t resist the opportunity to go horse riding. Ever. No matter what. So imagine my delight when the team arranged an equine experience! Now whilst this pony express and his little harem of mares are designed to give the local tourists a taste of cow girl life style there are ample places to go wild wild west. There is something rather quaint and exciting about going on an All Terrain Vehicle and roaring off into the wilderness. 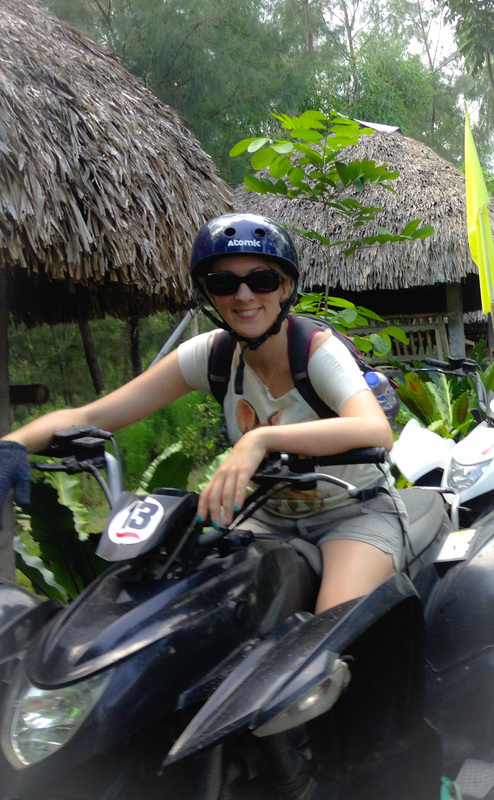 You may find that your resort offers ATV tours of the local area. If they don’t or you’re up for an epic adventure than make your way to Your Brother ATV Tour. As they say this is your on stop shop for an epic adventure. If it’s good enough for Zac Effron then it was certainly good enough for me. 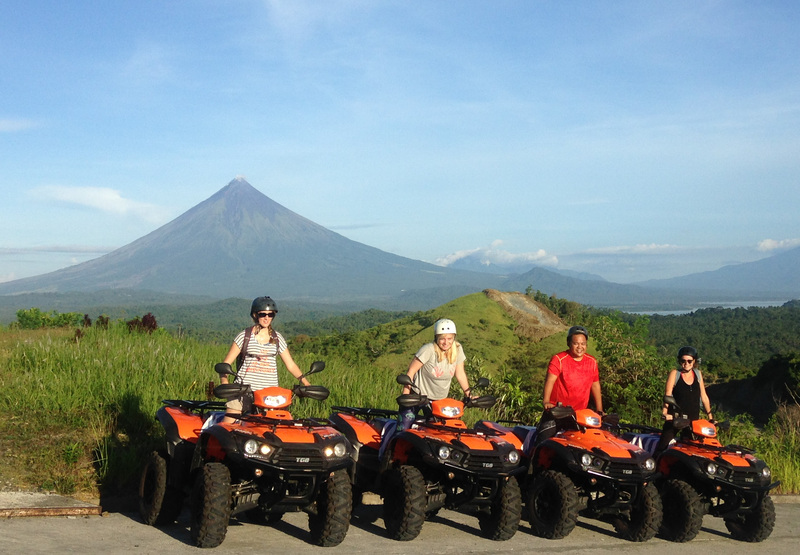 An ATV tour with Your Brother will take you to the base of Mount Mayon as a starting point. This is the tour that we took. It was a whole heap of fun as we crossed rivers, went over banks, interrupted local road works and up to the 2006 lava wall. Once you arrive at the lava wall you have the additional option of walking amongst the lava remains and zip lining back down to the village. It’s mesmerising to walk amongst the lava remains and imagine what happened. 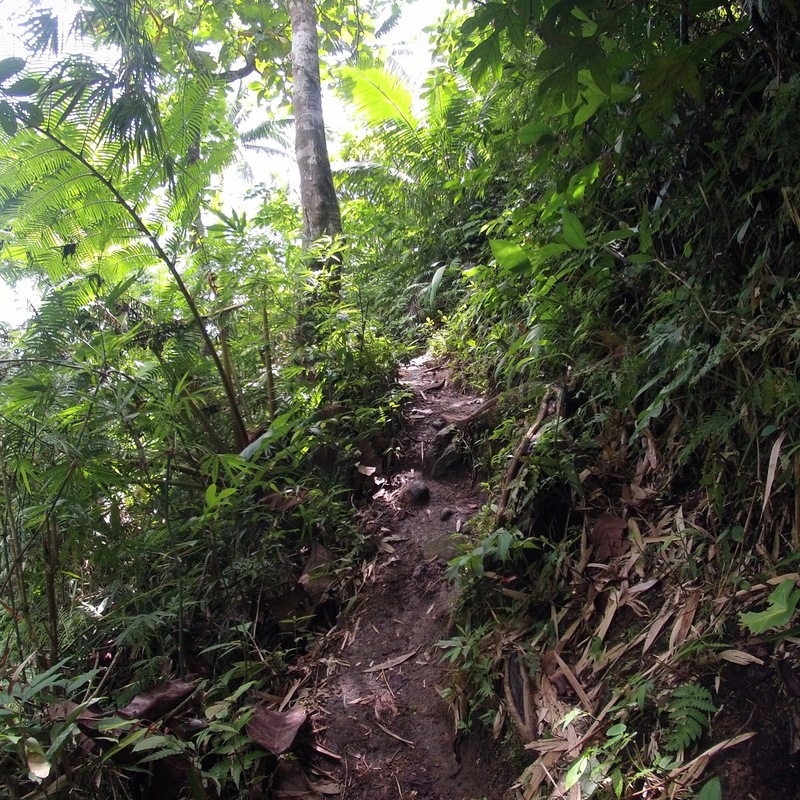 If you are after a more epic adventure than why not go further up Mount Mayon and include a short hike? The team here are more than happy to take you on an epic adventure. If you can bare to get out of bed super early I can guarantee that this is worth while! It was utterly magical seeing Mount Mayon at 5am in the morning, with fresh coffee. With so many islands and stunningly beautiful beaches it’s easy to see how popular water sports are here. The waters around the area are rather calm so perfect for stand up paddle boarding, sea kayaking and swimming. Unfortunately due to illegal fishing in the area there has been extensive damage to the coral reefs. There are small pockets of beauty left for you to enjoy snorkeling. The local government and indeed the Philippines government has cracked down on illegal fishing. There are attempts to bring back the beauty of the corals and fish in this area. Sadly it will take time. 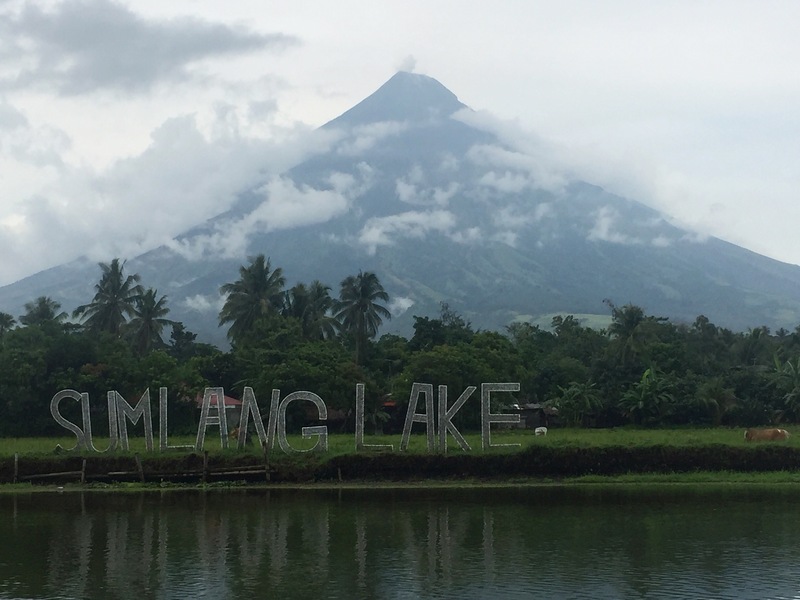 You’re visit to Albay isn’t complete until you visit the social enterprises of Lake Sumalang. 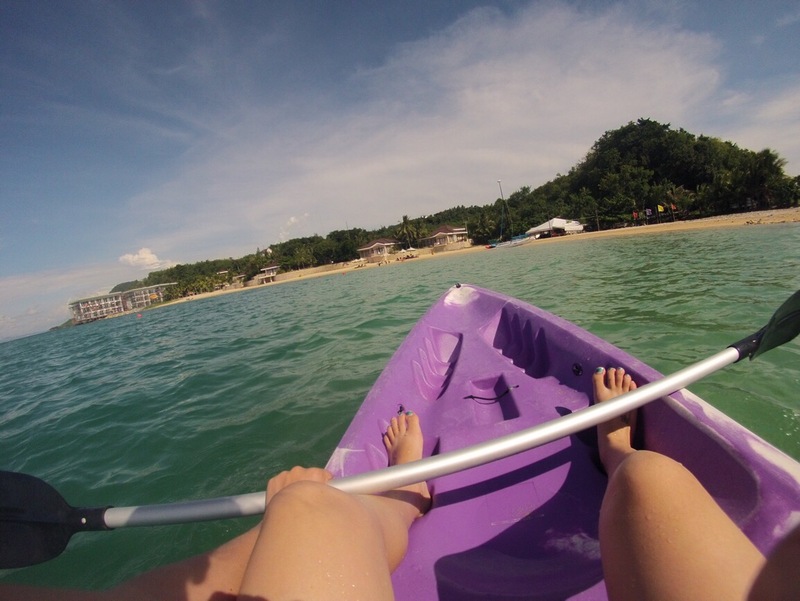 Take yourself kayaking or enjoy a slightly softer experience on a bamboo raft. The main city of Legazpi is the capital of this region 5, Albay. It’s a beautiful and colorful city full of Jeepney adventures, cultural wonders and natural beauty. You really can’t miss the magic of Mount Mayon! There are 6 flights a day to Legazpi from Manila and 1 flight a day from Cebu. Philippines Airlines and Cebu operate from this teeny tiny airport. Buses depart daily from Cubao and Pasay to Legazpi. Travel time takes nine to 12 hours, depending on the traffic. With over 7,000 islands, 176 local dialects and thousands of activities to choose from, it’s hard to pick just one area to explore. Thankfully for me the fine people at TBEX and the Department of Tourism Philippines made the choice for me. 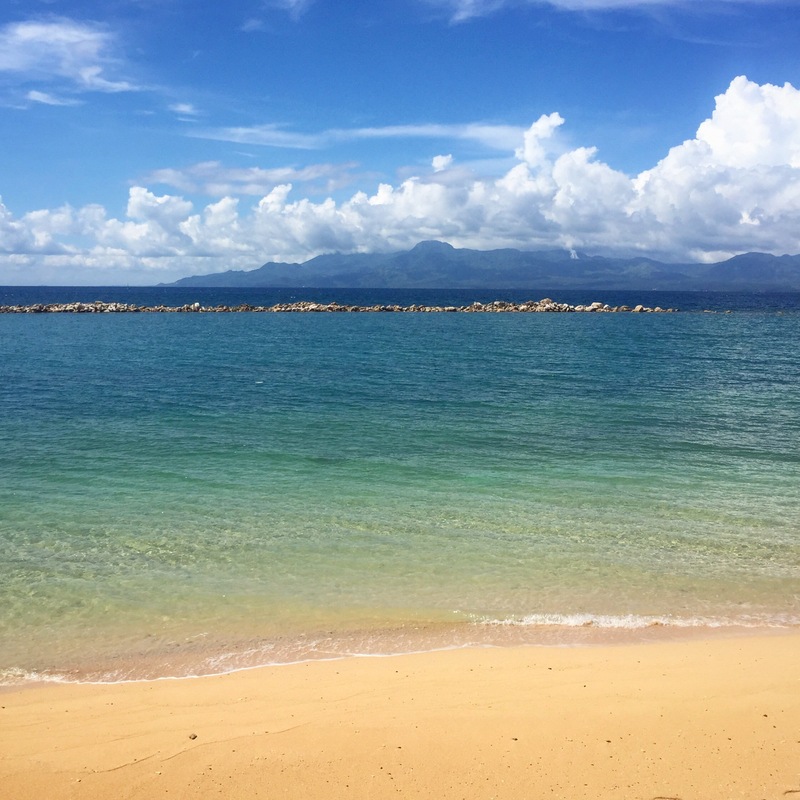 Still not convinced about joining me on an epic adventure in the Philippines? Maybe my fellow travel companions can help you decide to Visit Philippines! Mike- Bemused Backpacker Hiking The Seven Tiered Waterfall Of Busay. Just a little FYI- this article was written in partnership with the Tourism Promotions Board Philippines and TBEX. Any and all views and opinions expressed are entirely my own based on personal experiences when travelling and are honest and factual without any bias. 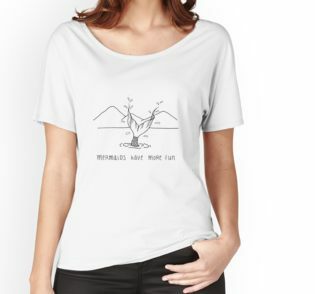 Click on the tee shirt above for your chance to own an amazing tee shirt. Oh why haven’t you been yet? 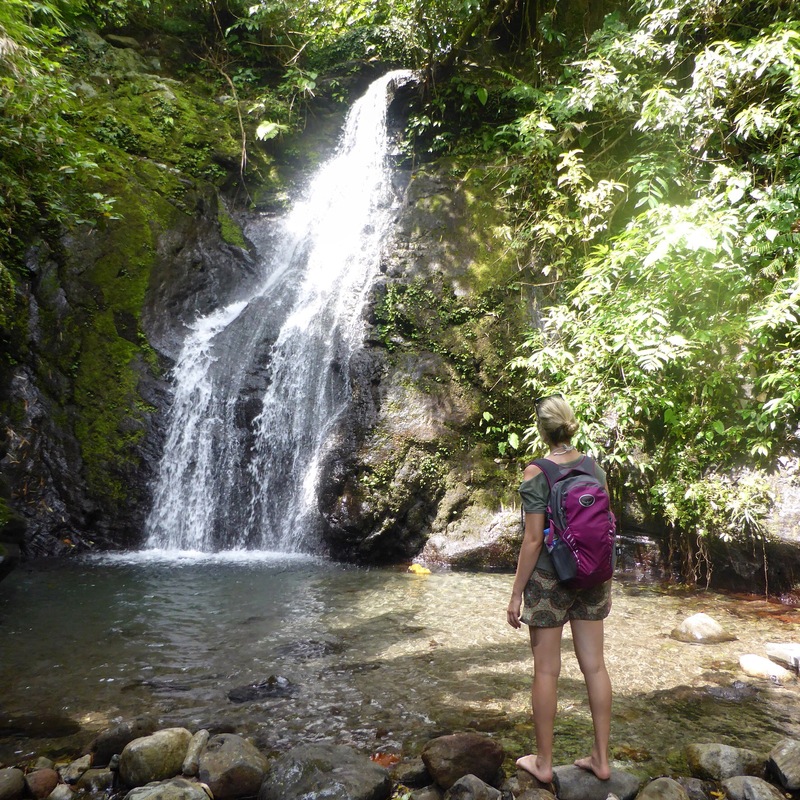 Busay Falls are my type and I would like to spend my as much time as I can here. Horse riding is also fun. I was not knowing that these kind of landscapes also Philippines has. Albay is so beautiful city and complete relaxation place. I would like to try those Quad bikes in those green fields. We can’t wait to spend more time in the philippines and discover it properly. The Sunrise ATV tour sounds like an amazing idea. 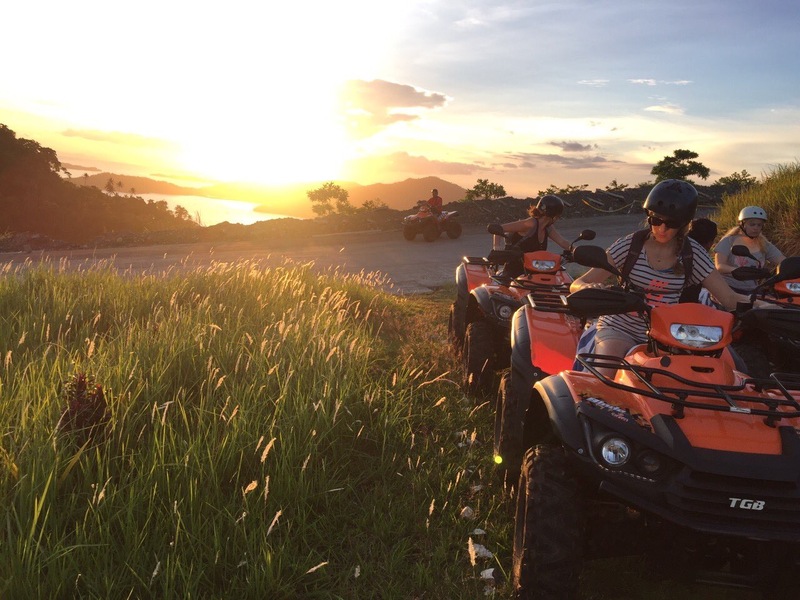 Mount Mayon looks wonderful and we love that sun rising shot with all the atv’s! We are always keen for some adventures, what a great inspiration! I was at the Legazpi City and visited Mount Mayon Volcano five years ago by taking an ATV, and it was such a fun adventure. 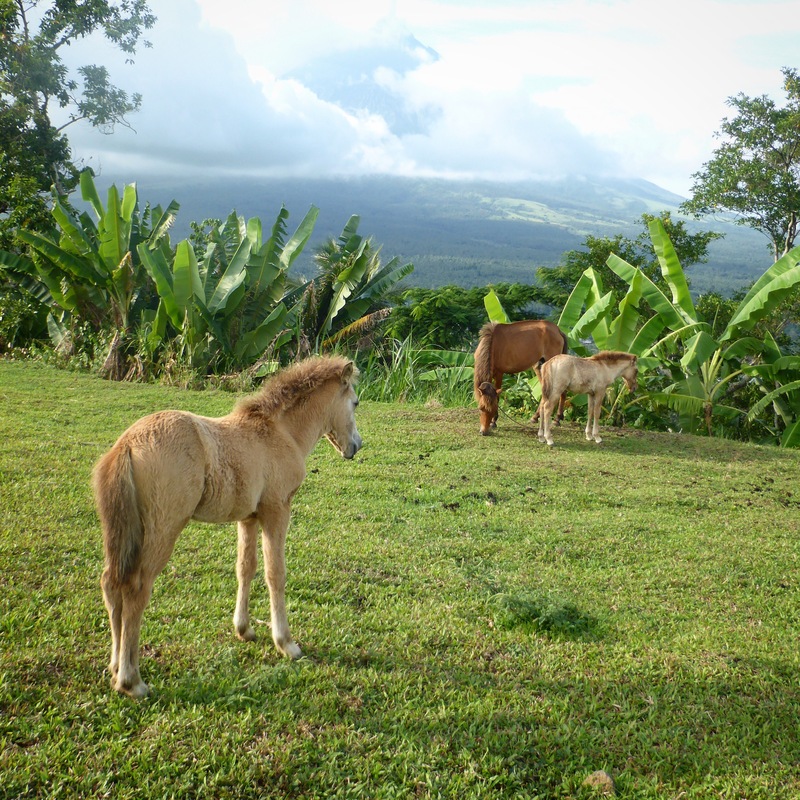 I was only there for a day trip so did not have chance to visit Busay Falls and do the horseback riding. Wish I could return and enjoy all these activities. Oh you need to go and stay at Misibis Bay! But I didnt, now I want to go there and stay at the Misibis Bay! I haven’t been to the Philippines, but one of my best friend’s in-laws are from there. He absolutely loves their food! Maybe I’ll need to visit one day. I didn’t realize you are a TBEX alum. I’ve been to the last 2 events in the US (Minneapolis and Huntsville) and really enjoyed meeting people and learning from the speakers. Hopefully we’ll meet at a future event. For someone like me who just loves nature and the beauty of the great outdoors, this just looks so wonderful. While I have been to Asia many times and actually lived in Japan for some time, I still have not made it over to see the Philippines as yet. This post is yet another prompt for me to get over there and experience the beauty that I know is there. Glad I found this post, otherwise I probably would have fallen into the trap of visiting the “typical” places in the Philippines. And yeah I’m all for any hike that doesn’t crush my soul. I like hiking, but I also like my soul. Also – you said there are 7,000 islands to choose from, my goodness!! Thankfully you narrowed down an option. 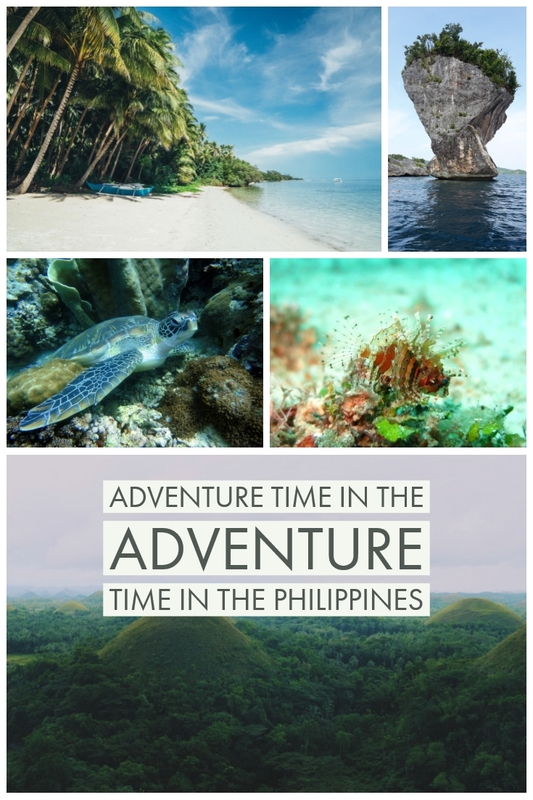 So… I am from the Philippines and yet I never knew that Legazpi is a great place for adventure-seekers! I have never even heard of those falls! I think this place is definitely worth checking out. Thanks for showing your readers that there is more to the country than places like Boracay and Palawan. This makes me realize that there is really so much beauty in the Philippines that have yet to be discovered! Glad you had an awesome time! It truly is more fun in the Philippines. Love that slogan too, so catchy and so true. A lot of tourists might be talking about Boracay and Palawan Islands, but that is just scratching the surface so to speak. I’ve never been to Albay but have always wanted to go. 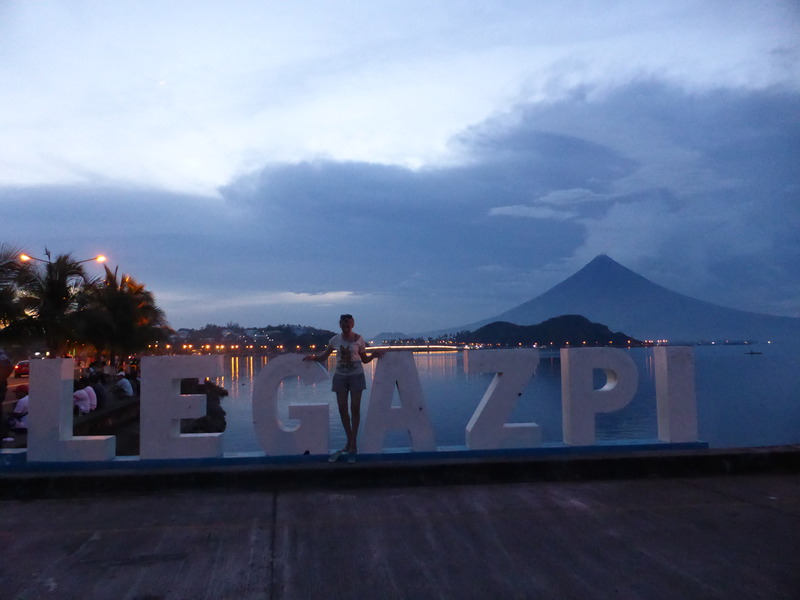 That photo of you in the Legazpi sign is perfect with the perfectly shaped cone Mt. Apo photobombing at the back! I’ve been wanting to visit the Philippines for so long and this has reignited that spark. The horse riding looks like so much fun, it’s good to get out and be active when travelling. Philippines is indeed a complete treasure trove of amazing sights and sounds. I am always fascinated by the fact that there are so many islands and beaches there, and every other day you come across one which you have not heard of before. This is one more to add to our list gems of Philippines. Would love to go on an ATV tour and horse riding. We love the Philippines. And we love adventure. We haven’t been to Albay yet, but it sounds like a perfect fit for us. The Philippines sounds like it has so much to do! 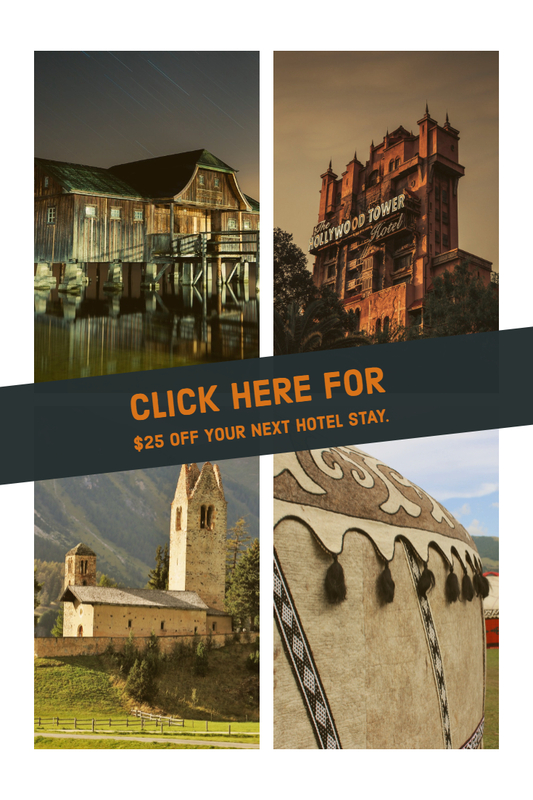 Do you think it’s suited to family travelers too? 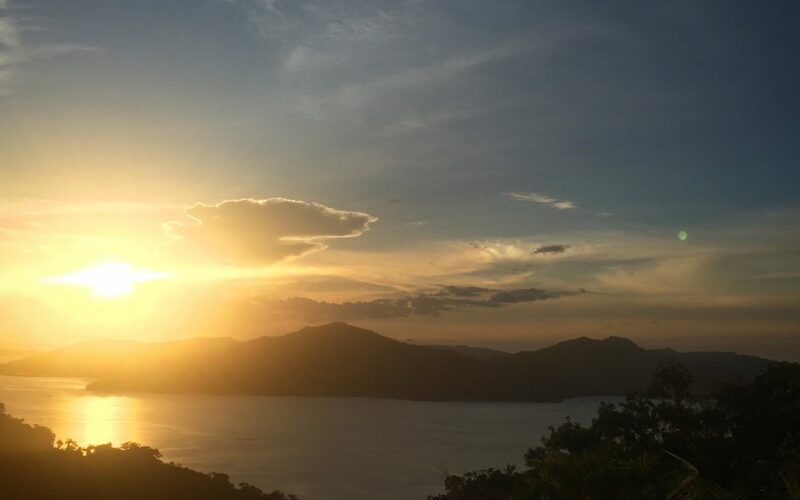 The Philippines has been high on our list for quite some time now, but other than Manila/El Nido we didn’t really know what else was out there. 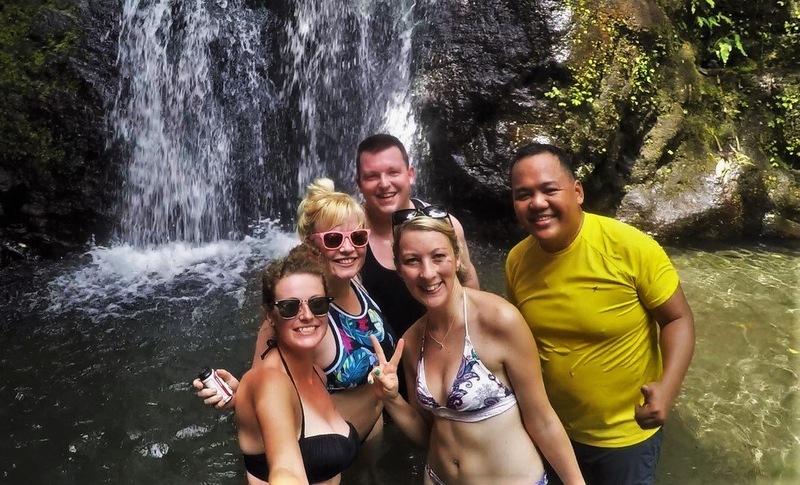 Thanks for writing this great post and opening up our eyes to a whole different side of this beautiful country 🙂 Thanks to your recommendation we are especially hoping to check out the Busay Falls whenever we go – your pictures look awesome! I’m usually not one for adventure travel but you totally sold me! Sunrise ATV rides sounds like a dream! And I could totally deal with a “polite and happy” kind of hike – that might’ve been the best description for a trek I’ve ever read. This is a big one on our family bucketlist as we love heading to Asia. The people are always so welcoming, the destinations are usually insanely beautiful and we can afford to do so much there. Love all of your ideas for activities.